Well, simply put, forget about staring at your tuner picking a single string at a time. 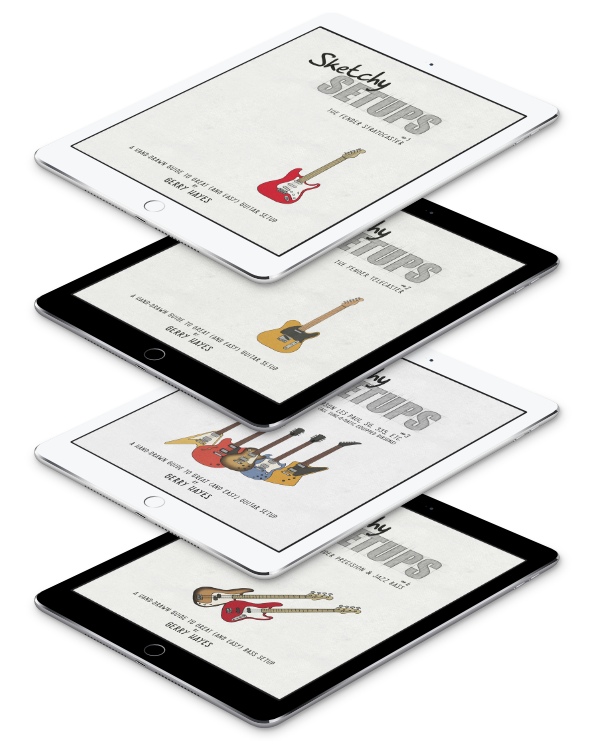 Instead, just strum all your strings – open – and the frightfully clever gubbins inside the TC Electonic PolyTune will show you a picture of each string so you can see, at a glance the status of each. As you can see on the left, the display shows an indication for each string simultaneously. In the case of the image here, you can see that the low-E and the G are slightly flat and the B sting is slightly sharp. Now you know what to tweak. That’s not the end of the TC cleverness. The PolyTune has an ambient light sensor which can alter the intensity of the super-bright LED’s to your surroundings to make sure you can always see what’s going on. 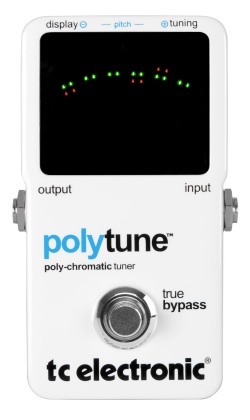 Accurate to ±0.5 cent, the PolyTune can recognise if you play a single string and automatically switch to regular, chromatic, mode. It’s all housed in a sturdy, die-cast aluminium box with true-bypass switching. Price is expected to be US$149 and it should be hitting the shops in February 2010.